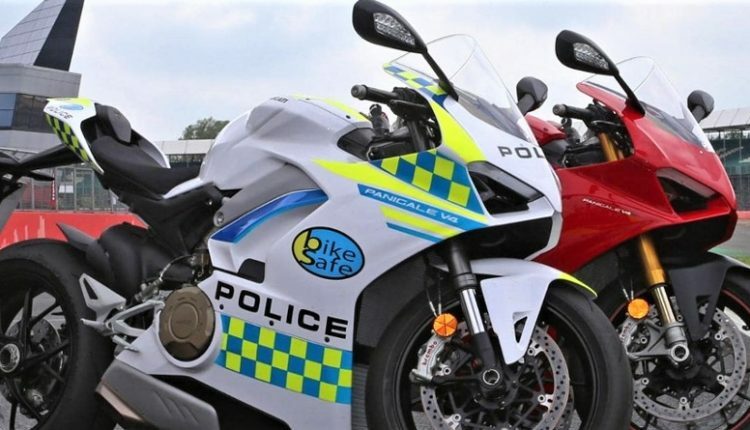 UK Police recently acquired a Ducati Panigale V4 superbike as their flagship two-wheeled ride. 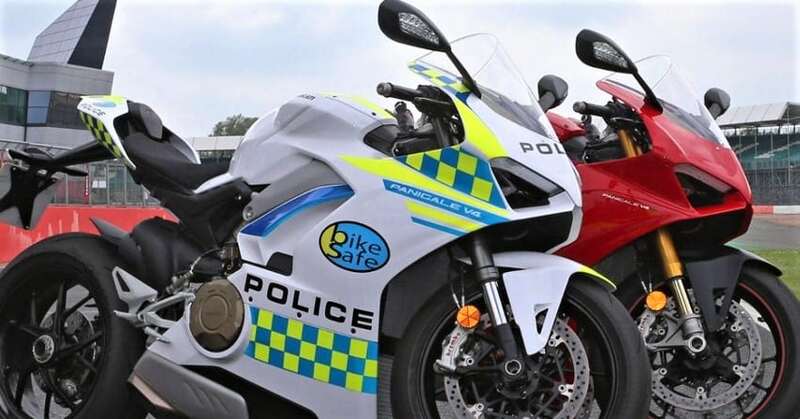 A police sponsored project named BikeSafe made this acquisition possible and biggest surprise comes when one gets to know its actual use. Most of us may think of high-speed chase on this perfectly finished white machine but they have got this Panigale V4 to raise awareness regarding improved biking skills, knowledge of the machine and safe riding in all conditions. Undoubtedly, the machine seen here is the fastest road legal police motorcycle around the world. One can spot BikeSafe and Police branding on the side fairing of this Panigale V4. Police teams all around the world are known to have exotic vehicles in their possession for taking law enforcement to the next level. Dubai Police has a long list of cars from Ferrari, Lamborghini, and Porsche. They even have a Bugatti Veyron on their list. The idea of choosing motorcycles for a chase is risk involving as the suspect gets a chance to hit the machine and run in certain circumstances. When it comes to cars, they prefer chasing up to a certain distance and then barricading the road in order to get over the culprit in any condition. In other words, these exotic bikes and cars are just a way to fetch public interest, resulting in ease of passing information and education regarding road safety. Ducati Panigale V4 is the most powerful motorcycle of its class and more than that, it is the first Ducati sportbike to bring the four-cylinder engine into action. Panigale V4 is powered by a 1103cc engine, producing nothing less than 214 HP at 13000 rpm and 124 Nm at 10000 rpm. The engine comes mated to a 6-speed gearbox. The values get an additional boost due to just 198 kg of wet weight.